I love Stew, but I don’t love carrots. Carrots make everything taste like carrots. So I decided to make a Stew my way. 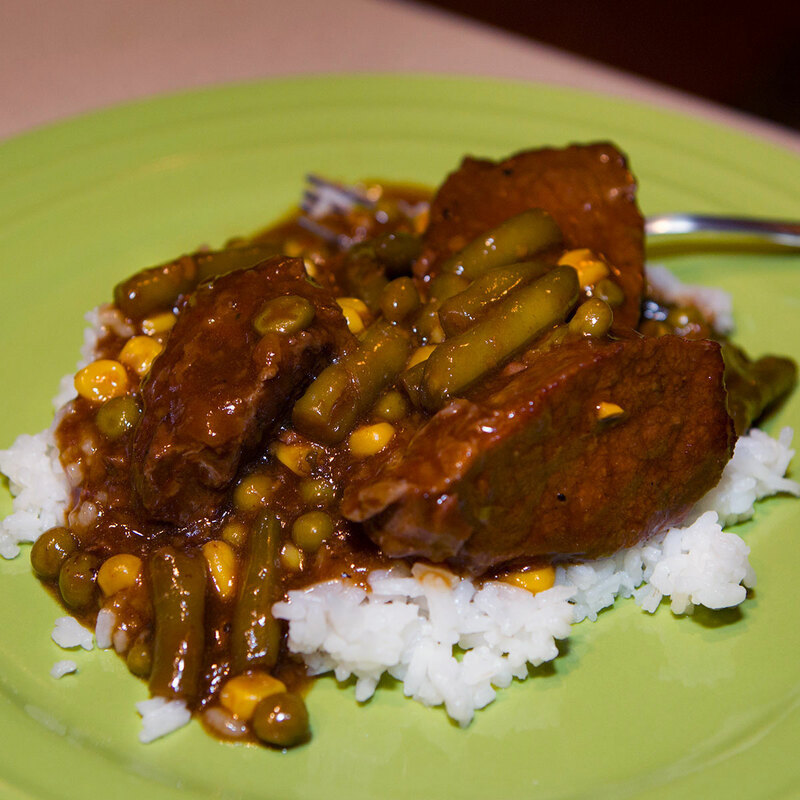 With canned Green Beans, canned Peas, and Niblets corn. And whenever a meal has to be fixed, shall we say…differently, my friends affectionately call it “Lori Ann Ramey…Salad, or Hotdog,” etc. 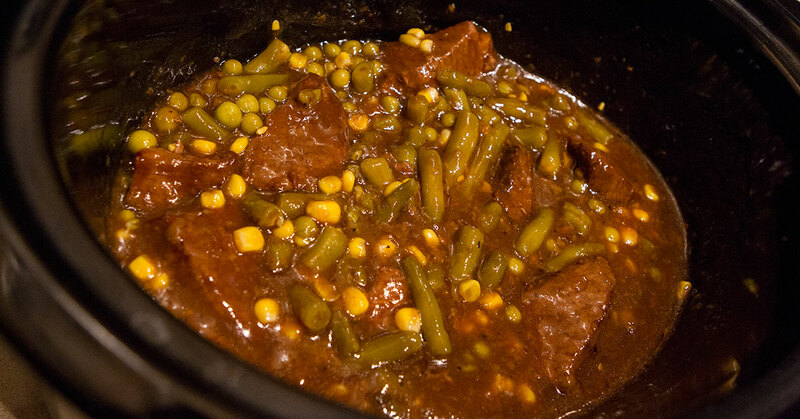 So, I decided to name this Stew “Lori Ann Ramey Stew”. Not vanity, just traditional. And, I didn’t have any potatoes, so I made some Minute Rice and whoa!…what a great combination.